Our goal at Tacoma Firelogs is to promote a natural and renewable option for heating and ambiance. 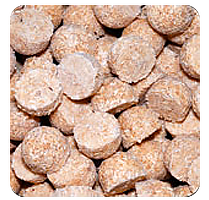 Burning Tacoma Firelogs is the safe, green alternative to burning cordwood or fire logs that use wax binders. Many fire logs claim to be â€œenvironmentally friendly,â€ but the waxes used to bind these products emit harmful carbons in addition to the carbon naturally released by wood when burned. 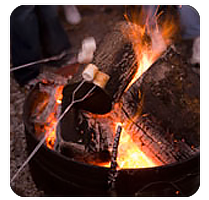 Tacoma Firelogs are bound by intense pressure, so you never have to worry about added chemicals or waxes. While lowering our residual wood waste from our wood processing plant, we are able to create a product that is better than cordwood for the environment and considered â€œcarbon neutralâ€ according to the Kyoto Accord. Tacoma Firelogs burn cleanly with less than .5% ash residue. Burning a Tacoma Firelog releases carbon originally absorbed by the tree during growth, but does not produce any new carbon like other fire logs with wax based binders, or heat sources such as natural gas or oil. I love not worrying about added chemicals or waxes in the product. Its 100% natural!